Do you want to make sure the refractories in your industrial facility are operating at a high level at all times? It’ll be important for you to get into the habit of maintaining and repairing them. 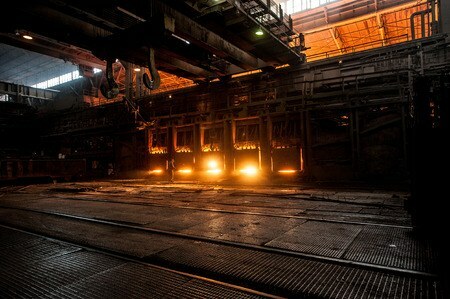 Refractories play a key role in protecting furnaces, boilers, and incinerators from sustaining thermal damage in many factories. They also play a part in manufacturing things like cars, buildings, roads, and more. Here are some ways to maintain your facility’s refractories in tip-top shape. Follow guidelines for heating furnaces up and cooling them down. When you’re heating a furnace in your facility up or cooling it down, you should always follow the guidelines given to you by the manufacturer. When you heat a furnace up properly, it’ll distribute heat evenly and prevent refractories from getting damaged. However, if you don’t follow the guidelines, it could lead to your refractories wearing out on you sooner than they should. Understand why cracks are sometimes created in refractories. Cracks will often form in a refractory. It’s important to note that while this can be a bad thing in some cases, it can also be a result of the cooling-down process. These cracks will usually disappear once you heat a refractory back up. If you fill these cracks in, that’s where the problems can set in. Refractories won’t be able to expand when a furnace is heating up when those cracks have been filled. Work with refractory experts to prevent problems with your refractories. Unless you have a wealth of experience when it comes to working on refractories, it’s best to let the professionals tend to them for you. They can inspect refractories, suggest maintenance and repairs that should be done, and work on them for you. By calling on the pros for help on a regular basis, you’ll be able to avoid running into any major issues with refractories. At R.G. Smith Company, we provide our commercial clients with a wide range of services, including general contracting and design build, industrial sheet metal, mill maintenance, and more. We also specialize in working on refractory projects. Call us at 330-456-3415 (Canton) or 419-524-4778 (Mansfield) for more information on how we can help you.